Bologna sausage is an American sausage somewhat similar to the Italian mortadella (a finely hashed/ground pork sausage containing cubes of lard that originated in the Italian city of Bologna). It is commonly called boloney or more formally, balongna. 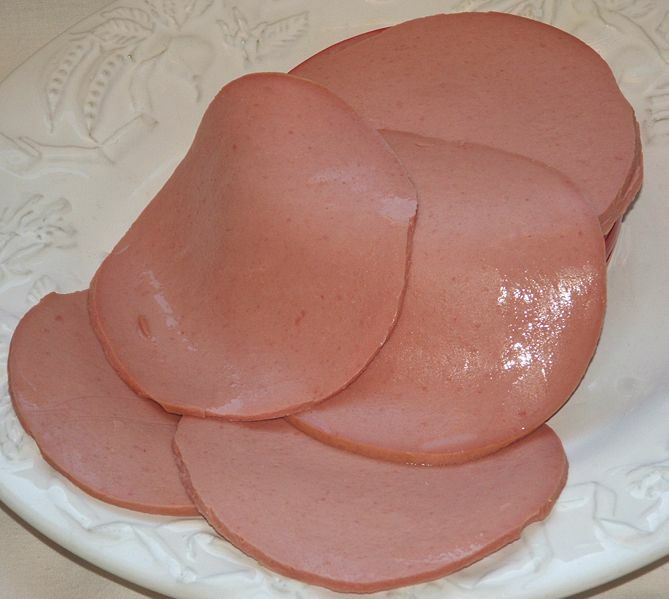 US Government regulations require American bologna to be finely ground, and without visible pieces of fat. Bologna can alternatively be made out of chicken, turkey, beef, or pork. Bologna is constitutionally much the same as hot dogs, although larger and sliced.